A 1999 reprint of the 1987 centennial collection with three new stories added. Bestselling author Anne Perry and Conan Doyle's most recent biographer, Daniel Stashower, among others, contribute new stories that expand this tribute to Conan Doyle's immortal creation. Mystery editors Martin Greenberg and Carol-Lynn Rossel Waugh specially commissioned original works by Stephen King, Michael Gilbert, John Lutz, Edward D. Hoch, Dorothy B. Hughes, Peter Lovesey, Lillian de la Torre, John Gardner, and others for the first edition. 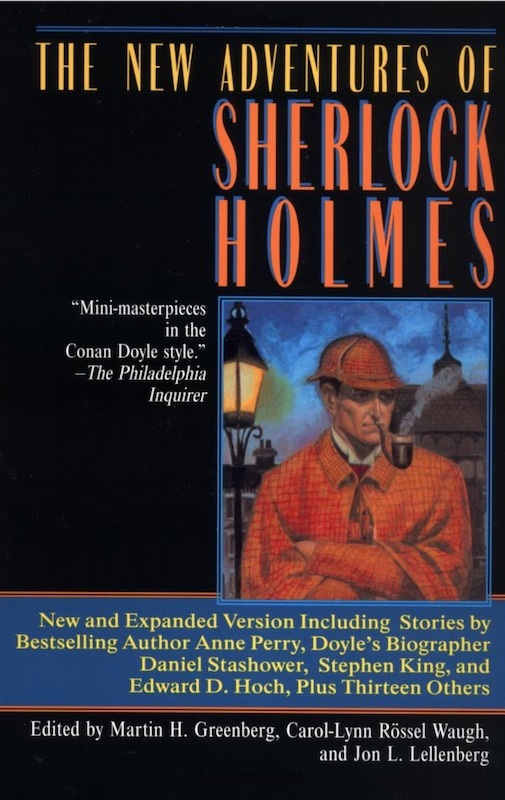 With over 100,000 copies sold since its publication for the centennial of the first Holmes story, "The Speckled Band," in 1987, The New Adventures of Sherlock Holmes has ranked in popularity only after the first Conan Doyle stories.